Vitamin B6 in petai helps to regulate blood glucose levels and improve your mood. Petai is high in iron and can stimulate the production of hemoglobin in your blood. Petai is high in potassium and low in salt. Even the US Food and Drug Administration has allowed the petai industry to make official claims on petaiâ€™s ability to reduce the risk of blood pressure and stroke. According to research in The New England Journal of Medicine, eating petai as part of a regular diet can reduce the risk of death by strokes by as much as 40%. A quick way of getting over a hangover is to make a petai milkshake and sweeten it with honey. Petai calms the stomach and, with the help of the honey, builds up depleted blood sugar levels. The milk soothes and re-hydrates your system. Research indicates that petai can aid learning by making pupils more alert. 200 students at a school in Twickenham (Middlesex) received help through their exams by eating petai at breakfast, break, and lunch. Petai has a natural antacid effect on the body and provides soothing relief to heartburn. Next time you are bitten by a mosquito, try rubbing the bite area with the inside of a petai skin. Many people find it effective at reducing swelling and irritation. Petai is used as the dietary food against intestinal disorders because of its soft texture and smoothness. It neutralizes over-acidity by coating the lining of the stomach. 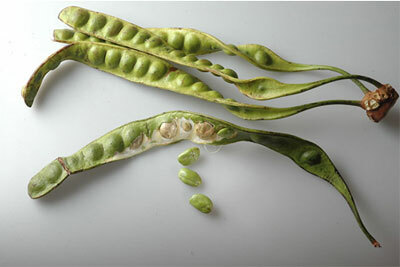 Petai has a â€œcoolingâ€ effect and can lower both physical and emotional temperature of expectant mothers. Pregnant women are known to eat petai to ensure their baby is born with a cool temperature. Petai can also help people who are trying to quit smoking. The Vitamin B, potassium and magnesium helps the body recover from nicotine withdrawal. When we are stressed, our metabolic rate rises, thereby reducing our potassium levels. Potassium in petai helps to normalize heartbeat, sends oxygen to the brain and regulates water balance in your body. Some people say that to kill off a wart, take a piece of petai and rub it on the wart. Then hold the another thin slice of petai on the wart with a plaster or surgical tape. After eating petai everything you may find that your excretion has a pungent odor. I do not like the eat petai because I cannot stand the smell of the petai.. too bad..
just wondering whether the info is authentic cos i read the exact same things in an email, only instead of petai it was talking about bananas. eat petai prevent, highbood pressure,diabetes,stress,mirgarian,relax must mixed chili or curry nice ,i eat everyday, health food. Yanti, I hv the same suspecious. I even found the similar artical for Durian. When i tried to search Dr.Aminuddin AHK , found the original site from UKM .. it is the article for PETAI !.